3. Be suitable for water-solvable environment-friendly glue and BOOP film, with such characteristics as high transparency, strong stereoscopic effect, good agglutination, non-toxicity, and non-pollution, without snow-flower spot or bubble, and so on. 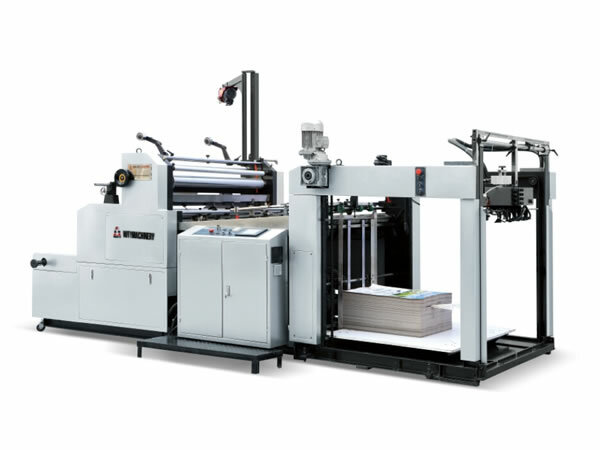 This kind of packaging converting machinery is widely used for sheet laminating of printed packaging such as text books, magazines, covers, calendars, hand-bags, gift boxes, wine boxes, and more.